Dan Brown’s #1 internationally bestselling thriller is soon to be a major motion picture directed by Ron Howard and starring Tom Hanks and Felicity Jones. 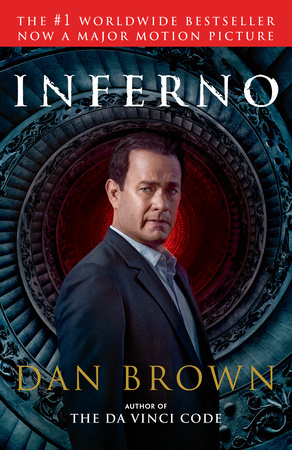 Professor Robert Langdon awakens in an Italian hospital, disoriented and with no recollection of the past thirty-six hours. With a relentless assassin trailing them through Florence, he and his resourceful doctor are forced to flee. Embarking on a harrowing journey, they must unravel a series of codes, which are the work of a brilliant scientist obsessed with Dante’s The Inferno.